What is ibuprofen, and why is it suggested? Why is it not safe to take ibuprofen during pregnancy? What if you are already taking ibuprofen during pregnancy? 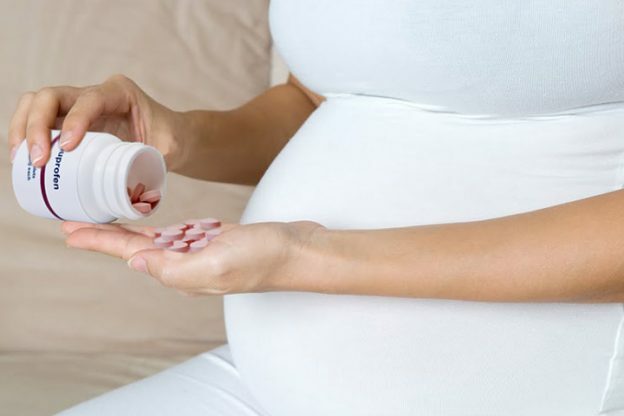 Is there any safer alternative for ibuprofen during pregnancy? Can you use ibuprofen gel during pregnancy? Pregnancy calls for extreme caution when taking medications. You cannot take any medicine without your doctor’s recommendation, as a few drugs may have harmful effects on your unborn baby. Here, MomJunction talks about the common painkiller, Ibuprofen, whether or not it should be taken, and the reasons for caution. What Is Ibuprofen And Why Is It Suggested? Ibuprofen belongs to a class of drugs called non-steroidal, anti-inflammatory drugs (NSAID) and is available under the brandnames – Nurofen, Ebufac, Rimafen, Arthrofen, Brufen and Fenbid. This medication is used against fever, pain, headache, and arthritis (1). The drug is available over the counter, without a doctor’s prescription. And, this is why you should have a better understanding of Ibuprofen during pregnancy, and its safety precautions. No, it is not safe to take ibuprofen during pregnancy as a regular painkiller. Though taking a single dose at any stage is unlikely to cause harm, you should be cautious. The US Food and Drug Administration (USFDA) ranks the drug under category D for pregnancy risk. Category D means that “there is positive evidence of human fetal risk, but the benefits from use in pregnant women may be acceptable despite the risk (2).” The category does not mark ibuprofen safe, the next section tells you why. Here are some side effects associated with ibuprofen intake during pregnancy. Ibuprofen should be avoided in the first two trimesters as this is a crucial time where the baby’s organs form, and the baby is sensitive to toxins and medications. It can, therefore, lead to birth defects, miscarriage, and can adversely affect the kidneys too. Ibuprofen use during the second trimester leads to low birth weight in babies (3). In the last trimester, ibuprofen inhibits the action of prostaglandins, the substances that mediate fever, pain, and inflammation, and perform other functions too. Around the time of birth, the blood concentration of prostaglandins lowers leading to the closure of the blood vessel (ductus arteriosus) in the fetal heart. This will redirect the blood to the lungs. But taking ibuprofen can prematurely close the blood vessel leading to high blood pressure in the lungs, which is fatal to the fetus (4). It also causes prolonged or delayed labor and excessive bleeding during delivery (5). Prolonged use in high dosages can lower amniotic fluid levels (oligohydramnios) (6). Studies have shown that children born to mothers who have taken ibuprofen in second and third trimesters develop asthma in early childhood (7). Boys born to mothers who have taken a painkiller such as ibuprofen in their second trimester are likely to have increased chances of infertility and testicular cancer. It will, therefore, affect the testosterone production (8). Your doctor prescribes ibuprofen only if there is no other safer alternative, and expected risks are lower than the risk associated with the condition. However, as the drug is available OTC, you might have inadvertently taken it without your doctor’s prescription. What If You Have Already Taken Ibuprofen During Pregnancy? If you have taken ibuprofen for a long-term, then the doctor may assess the fetal development (9). If you are on a dosage of the medicine when you get pregnant, then let your doctor know about it. She will decide whether you can continue with the medication or need an alternative. Oral acetaminophen (Tylenol/ paracetamol) is a safer substitute for pain and fever during pregnancy. You can take it during any trimester (10). You should not use ibuprofen gel during pregnancy unless recommended by your doctor. The gel gets absorbed through the skin and affects the unborn baby. Always make sure to get medical advice before using the medication. If you are not sure about taking any medications during pregnancy, it is best to check with your healthcare practitioner. Also, you should take the lowest effective dose of any medication. Have you taken ibuprofen during pregnancy, or did your doctor suggest any other medication for pain management? Let us know about it in the comments section below. 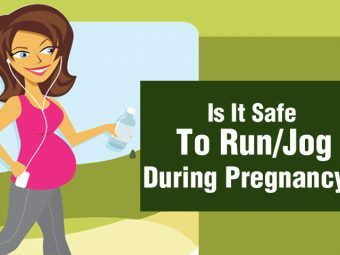 Is It Safe To Consume Antacid In Pregnancy? 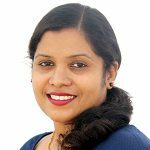 Is It Safe To Use Heparin During Pregnancy? Can You Take Tramadol While Pregnant? Is It Safe To Use Doxinate During Pregnancy? 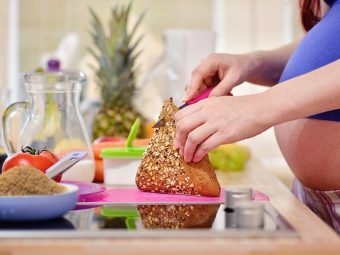 Protein In Urine During Pregnancy: What Causes And How To Deal With It?